This summer’s meeting of General Convention is being invited to consider how it orders its common prayer and why. That is the gentle invitation the Standing Commission on Liturgy and Music has put before the Episcopal Church five months before the start of the 79th General Convention. In 2015, General Convention charged the liturgy and music committee with presenting to the upcoming July 5-13 gathering in Austin, Texas, a plan for a comprehensive revision of the Book of Common Prayer. After considering four different approaches, the SCLM is offering a comprehensive plan for revision, as requested, as well as a way for the church to spend time discerning the future shape of its common prayer. The SCLM has included “guiding assumptions,” work plans, suggested processes and tools, hundreds of pages of supplemental material and budgets for each approach. The approaches are described in a portion of the SCLM’s Blue Book report released to the church Feb. 13. The prayer book subcommittee’s report is here. All the information represents what the group explored and synthesized, the Rev. Devon Anderson, SCLM chair, told Episcopal News Service. It is being offered to General Convention as a resource to help guide the conversation on what should be done. The commission added that it is important that the church be intentional about the direction of the change. Thus, it said, it is offering a second approach. 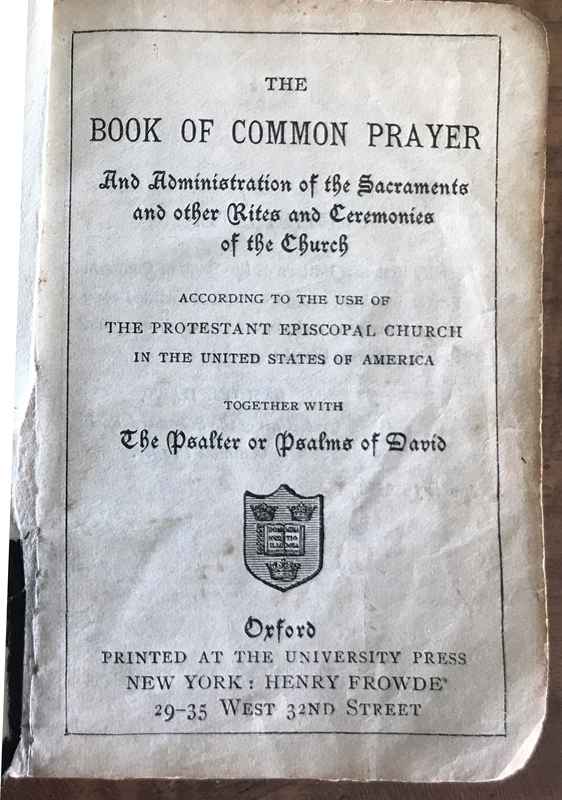 That option calls on the church to plumb the depths of the current Book of Common Prayer’s theology, as well as its usefulness as a tool for unity in a diverse church, for evangelism and discipleship. “The more we thought about Option One, the more we focused on the essential need for the church to take stock of its devotion and commitment to common prayer, not only to be clear about why we have a Book of Common Prayer in the first place, but to embrace a common life that celebrates our unity in difference,” the report says. Instead, she said, it is meant to seize the attention of General Convention and suggest a way for the church “to have a real discernment about our common prayer” and about where God is calling the church to be now. If convention agrees to the second approach, this would include new BCP translations. The commission says it is “generally recognized” that the current word-for-word Spanish and French translations are inadequate. Moreover, the book needs to be translated into Haitian Creole and many other languages, especially First Nations languages. The present state of BCP translation “belies our oft-stated desire to be fully inclusive” and can be solved by handing the task of translation to the communities most affected and giving them the resources they will need, the report says. The commission sees this work as part of the reconciliation to which Presiding Bishop Michael Curry has called for in Becoming Beloved Community: The Episcopal Church’s Long-Term Commitment to Racial Healing, Reconciliation, and Justice. “One concrete way to invest ‘in the flourishing of every person’ [as described in that document] is to offer the poetic beauty and depth of the Book of Common Prayer in the languages in which it is prayed,” the commission’s report says. “Such an expansion would also be vastly less expensive and more efficient than the wholesale revision of the prayer book, not diverting precious funds from urgently needed mission,” the commission members say. 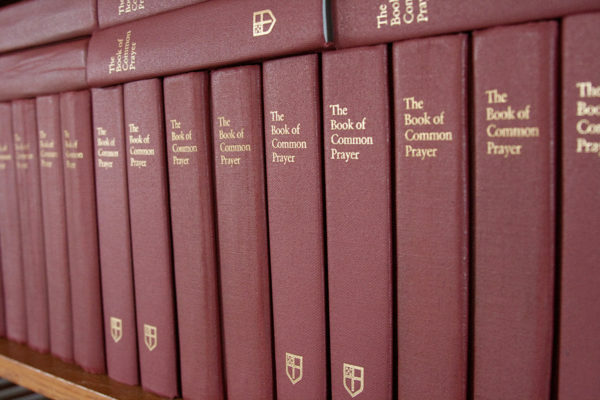 The commission estimates that beginning comprehensive prayer book revision would cost $1.9 million in the 2019-21 triennium alone, and the entire revision process would cost between $7 and $8 million. The estimate for the second approach is $1.1 million for one triennium only, a price tag that includes the suggested translations project but not a formal prayer book revision process. The budgets in the SCLM’s report details what that money would cover. Anderson told ENS that the commission felt it owed the church “a very detailed budget analysis to accompany each of the two options. Anderson said she is proud of the work the commission accomplished, given its “huge mandate” that included much more than just the issue of prayer book revision. In addition, General Convention sent resolutions to the SCLM asking for a plan for revision of the Hymnal 1982, a complete revision of the Book of Occasional Services, a revision of the church’s calendar of saints, development of new prayers about racial reconciliation and pursuing efforts of the commission’s Congregational Song Task Force. Anderson estimated that convention sent SCLM upwards of $500,000 worth of projects. Despite the scope of that work, SCLM’s initial funding from convention allowed for only two face-to-face meetings in two years, and as many Adobe Connect video conferencing and teleconferences as it needed. Convention did not provide money for work on any of the projects it requested. The Executive Council gave the commission more money at midterm, and the group also found some additional small grants. “Liturgy and the act of worship is, at its foundation, relational,” Anderson said. “While Adobe Connect and other online tools can be helpful, they are no replacement for the kind of team- and trust-building that happens in person. The SCLM plans to post on its blog a series of essays about the various projects it worked on this triennium, and will host online discussions there. The lead-off posts on the prayer book report is here. I personally favor Option 2, which will focus our attention on the current BCP and supplemental liturgies, to ensure that we understand where these prayers enrich us, and where we need to expand our outreach. Only then can we undertake the sensitive and prayerful revision of the BCP. I know that many, such as myself, who are only familiar with the 1979 BCP want to be careful in our approach to revision. We need to find where the current BCP “ain’t broke, so don’t fix it” and where we are called to augment our common prayer lives. Blessings to the Commission for their hard work. It will be interesting to see how we develop a new, updated liturgy to reflect a new, updated church of the Jesus movement when we’re not sure that new, updated church looks like yet. Perhaps it might be the other way around: we create a new, updated liturgy/prayerbook and try to model our church after it? I’m not sure that will work. Maybe one has to read the “Blue Book Report”, but it is unclear to me what we are trying to fix with a revision. Without a clear statement of the problem I don’t know how one can select an approach or evaluate the results. I know this is a bit off-topic, but I think a revised Hymnal might be more useful than a revised BCP. Let me change that a bit. It’s important that the BCP be meaningful to today’s churches, but much of the music in the Hymnal is more outdated than the services in the BCP are. However, I know there are some life-long Episcopalians who might not wish to lose what is familiar to them in both the Prayerbook and Hymnal. I believe one of the biggest things we’re trying to update (not “fix” per se) is the lack of inclusive language in the current BCP. Even the “more inclusive” EOW is 20 years old! I routinely have members of my congregation using “she” to refer to the Holy Spirit and substituting “God” for “Lord” or “He” when referring to the first person of the Trinity. Why not have a prayer book, or at least some options, that reflect the way we actually pray rather than the way we prayed in the 1980s or 1990s? BCP ?? If it ain’t broke, don’t fix it. 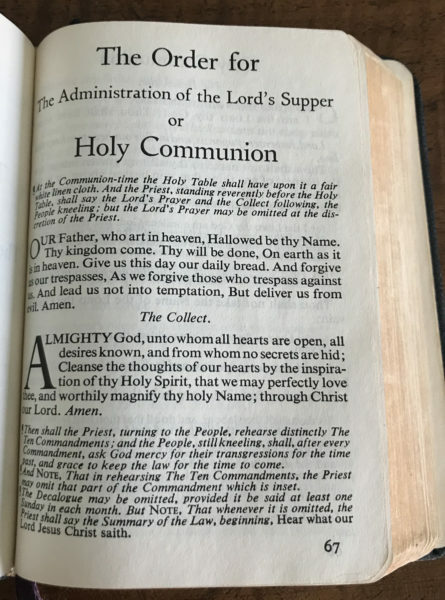 I’m not certain if this is where I comment, however, I wish that there was a more transparent, hate to use that word, as it is too political now, but someone somewhere decides we need to have revisions to the BCP and The Hymnal 1982 – ?? Why? There is a reference above regarding better written liturgy for non-English speaking congregations, but can we be given any indication as to what the issues are with our present liturgy and our hymnal? I grew up with the 1928 version of the BCP, so the adaption of the 1979 revision was painful. Now that our BCP has a Rite I and a Rite II service which is rich in liturgy and theology, I have to ask why are we again revising it? And the 1982 revision of the 1940 hymnal has become revised, so why change it. If the changes are only additions to which would be more inclusive of the many, many nations around the world who are part of the Anglican Communion, then I have no problem with it – if that means we can still use our current editions of both BCP and Hymnal. However, if there are major changes in the liturgy, hymns, etc., which entails a complete change over to new material, then I am really not happy. We have only just within the last ten years purchased and are using the new RCL, and now perhaps we will need a new one along with a new Gospel Book, along with many copies of a new BCP and a new Hymnal – I don’t think our small churches can nor will support purchasing these items. This amounts to hundreds of dollars which we just don’t have. 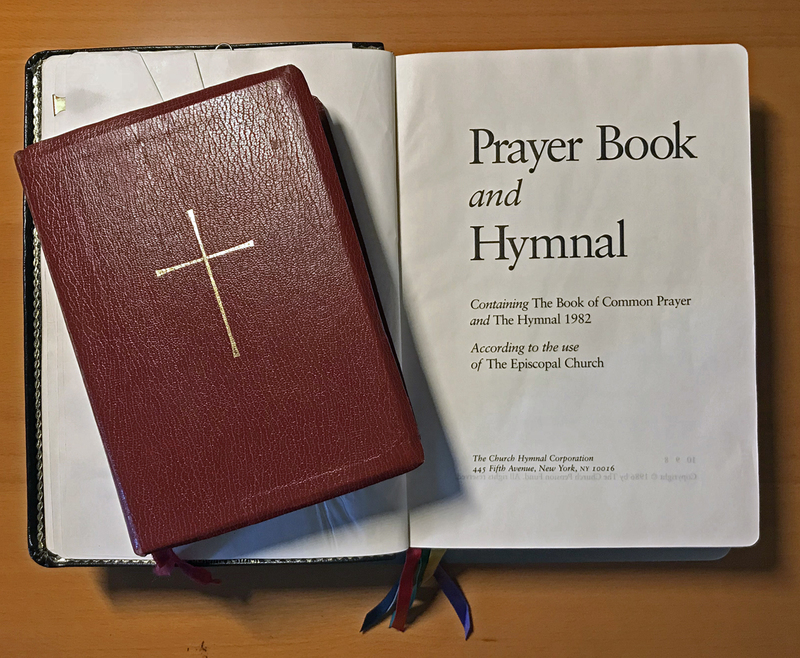 Through memorials and some generous gifts we were able to purchase copies of the WLP Hymnal Supplement, however, there is just so much small congregations can support. And when they are comfortable with and appreciate the liturgy they are using at this time, a few changes in words will most likely not convince them or the church administration to expend the dollars needed to purchase new books. I realize that the Episcopal Church is not a “congregational church” where the congregation has input into the elected decision-making body’s decisions- well perhaps indirectly. However, even though it might be a total nightmare, there should be some avenue for the layperson, especially one who is very involved in the service, its preparation and its delivery – I am a church organist in a small congregation and I prepare the weekly bulletin on my own with small input from our Rector. Our Rector has been with us for 7-8 years, and prior to her time of discernment and preparation for priesthood, was from another church denomination, so the tradition in our church falls onto me a lot of times just because she doesn’t know the history of the Episcopal Church and Communion. Also, at least 50% of our small congregation are “imports” from another denomination – mainly Roman Catholic, but still are not well versed in the traditions of the Episcopal/Anglican Communion. It grieves me that people such as I who have a long history of knowledge of the Episcopal Church, I am 74 years old, cannot have any input into the revisions of our beloved BCP and Hymnal. As I said, I am and have been a church organist since I was 16 years old – 58 years on the organ bench – honestly, do you not think that I have some knowledge of the liturgy and the hymns. (Perhaps more than some who are sitting on the committee to revise the BCP and Hymnal). When I started playing the organ our church, as many other Episcopal churches at that time, had Morning Prayer services on three Sundays and Holy Communion on the 4th Sunday. Our congregation sang with great gusto all of the canticles in Morning Pray as easily as if they were singing an old favorite hymn. In the early 1960’s our priest, who had a magnificent singing voice, decided we would have a sung Eucharist as well as Eucharist every Sunday. We proceeded to sing, from the 1940 hymnal, the “Fourth Communion Service” music, Plainsong. If you have a 1940 Hymnal, look it up, this music was not for wimps. We sang this music every Sunday. The next Rector used Morning Prayer as the first part of the service with the readings, psalms, etc., and we again sang/chanted, as a congregation, the “Te Deum Laudamus”, as easily as if we were singing the hymn “Holy, Holy, Holy, Lord God Almighty”. Thus, the tradition in our small church and congregation is rich and full. We need to have some voice in a revision or some sort of “survey” or some other instrument to be able to make known our thoughts and fears about what the General Convention is proposing. I just don’t feel it is fair to any of us Episcopalians that we are spoon-fed this new revision because some committee decided it needed to happen. Perhaps each Diocese could submit a culmination of thoughts and ideas which they in turn have gathered from each Deanery, which would hopefully give each of their parishes a chance to voice their opinion. Perhaps many are not as passionate as I am about this, however, I am passionate about it. I would be happy to facilitate any of the above actions if this suggestion every became an actual action. Thank you for your consideration of my thoughts and concerns. The explanation given in this article feels like a pulled punch–from the top down. I am not at all sure calls for common prayer to ensconce the denomination in the “Jesus Movement” and the “Beloved Community” are heard by all who would then be using the revised prayer books and hymnals–much less understood or felt as needed by most people worshiping in TEC congregations. Perhaps part of the projected study periods could be accompanied by trials of small sections revised and put in strategic places in every diocese, along with the commitment to participate in evaluation exercises. Any study of this sort must cover a full year, so all seasons of the church year are experienced using the different liturgical options. I fully support review of liturgical resources, but I feel apprehensive about the approach of a compulsory change in which only some of the people who worship, have decisive influence on all the rest. In my view, the most compelling finding in the Standing Commission’s report is that we are not making anywhere near full use of the BCP as a resource for discipleship and evangelism. To quote the report: “The BCP 1979 offers a wonderful instrument for deepening the Christian formation and the devotional life of the people of God, and holds great potential as a means of evangelism. However, we have not broadly employed the Prayer Book for either of these purposes.” I have no problem with needed revisions, updates or inclusionary language. But if we’re going to invest the time and money, we should not allow the “new” BCP to gather dust in the increasingly empty pews of our churches. We need to make the BCP a daily companion on our own faith journeys, and take its rich prayers, liturgies and catechism into the world to those unaware of this wonderful resource. A profound thank you to Mary Frances Schonberg for writing and presenting this most important article ASAP. George Price, you are welcome. Sally Marciniak, stand by for the committee’s take on hymnal revision. General Convention asked it to consider that issue as well. I am excited that my church is taking on the difficult discernment about our liturgical language in prayers and hymns. Expansive language is just plain sensible. I am passionate about including language about the image of God in whatever revisions and options for the options the SCLM and GC present—as long as they include God x 3 in their deliberations. For centuries our God imagery has been dominantly transcendent, dominantly almighty, and exclusively masculine. Is it not time to create a just and loving language for humanity AND divinity? Whatever is decided will require, mandate, a lot of on-the-ground teaching, conversation, and advocating for adult formation options such as Education for Ministry. I’m proud of my church and its willingness to tackle tough controversial issues. As long as everyone comes away feeling a little uncomfortable with outcomes, we’ll be fine. Early biblical editors after all did canonize diversity and the tensions that go with it. So did Creator-God. Let’s follow. Let us consider that every church has a growing population of worshipers with dementia. In the later stages of this disease the person is non-verbal. However, if the Lord’s Prayer is recited there is both memory and voice! In earlier stages the old hymns and other parts of our liturgy produce the same wonderful responses in dementia sufferers. 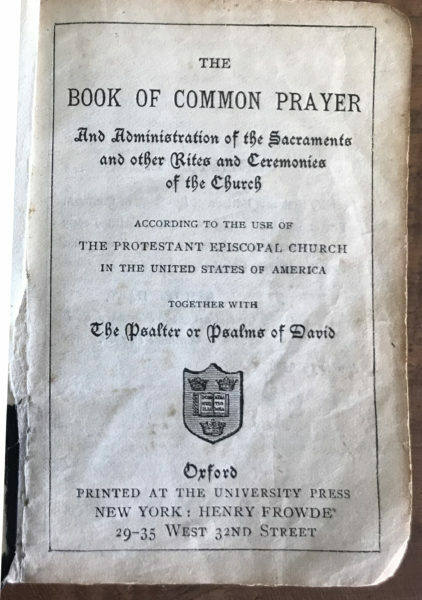 Let us also consider the the Book of Common Prayer in the Church of England was last revised in 1662. Perhaps there is an alternative way of thinking about this issue. Man, it’s the hymnal. Who decides the BCP needs updating? As someone who returned to the Episcopal Church as an adult (after meaningful forays into other of the world’s faith traditions), I have seen how the liturgy can be an impediment to newcomers who (in the words of my brother and wife) find themselves scrambling to keep up with the standing up and sitting down and kneeling, while going from the Order of Service to the insert and back again, and trying to sing hymns from a century ago or more, with unfamiliar melodies….” -resulting in an hour and a half of confusion rather than an encounter with Jesus. No matter how warm and welcoming people are at coffee hour, they don’t return. Yes, the BCP is indeed a rich resource for spiritual deepening, but it also doesn’t speak even to many of my generation who are delving deeply into writers like Cynthia Bourgeault, Henri Nouwen, Richard Rohr, etc., much less to millenials. It’s a difficult road, to be sure. I love the Episcopal Church; it’s my spiritual home, and I want to see it building bridges into a suffering world, reaching people *where they are*. To borrow a phrase from current psychology, we need to be a church that is “spiritually available” to people whose lives are often rushed, stressed, and over-committed, caught in over-consumption and divisive politics, and whose moral compass may have lost True North. Our prayers, hymns and liturgies must be part of bridge construction, building a sure path into the church. My experience is that we are not using or living into the 1979 BCP much at all… and that we’re kind of been driven by a need to “do something different” without letting the words of the BCP and the faith shape us, rather than the other way around. We’d certainly kill a lot fewer trees if more congregations stopped churning out full copy bulletins each Sunday, and just used what is in the pews. My other experience, as a priest of 40+ years, and a communications scholar, is that too often the shifts are pushed by the experience of we who are ordained rather than the laity. In communications terms redundancy is in fact a major positive, especially for enculturating people into a coherent body. The laity, who often come once or twice a month, experience the liturgy very differently from we who two or three services every Sunday. We clergy get “bored”… want something “fresh” and “innovative” …while they are often wanting and looking for a recognizable pattern to respond to and feed them. “The primary impact of mass media is to reinforce and support people in things they already believe in” is what the literature says….. It strikes me that worship and the BCP are precisely mass media phenomena in these senses… and our worship a place to particularly “reinforce and support” our people in the things of the faith that they have come to believe in.